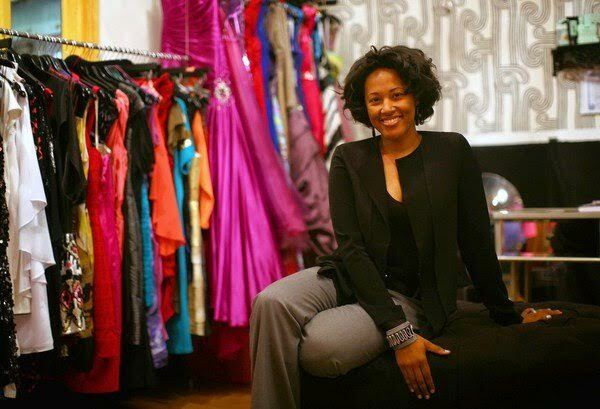 Located in Chicago, The Frock Shop is the only Black owned dress rental company in the country. Founded by Jennifer Gist Burrell in 2011, The Frock Shop rents designer dresses from coveted national and independent designers for black-tie events, prom, weddings, and parties. While cleaning out my closet, I noticed my prom, wedding and pageant dresses. These dresses had only been worn once and were still in great condition. I decided that if men could rent tuxedos, women could rent dresses. So with the dresses from my closet and the support of amazing family and friends, The Frock Shop was born. The 3-step process is simple: Rent. Wear. Return. Choose your dress by either ordering online or visiting our Chicago store. Dress rental periods are 4 or 7 days. If you are in Chicago, pick up your dress before your event and return it after. If you order online, we will ship it to you. Return your dress by placing it in the pre-paid envelope that we have provided for you or return it to our store. We take care of the dry cleaning! What’s the benefit of renting a dress instead of purchasing one? Social media is so huge now. When you post a picture of yourself on social media it’s an “outfit-killer”, you don’t want to wear it again. Renting is a great way to have an revolving closet of dresses & accessories for your events. Renting also saves closet space to make room for the wardrobe staples that you are going to wear most often and it has an eco-friendly factor too. Renting is a convenient way of trying new styles and designers. Some of the dresses that we carry are out of the average person’s price range. Renting gives you a way to wear designers that you may not have been otherwise able to wear. The Frock Shop currently has a New Year Eve’s dress sale. 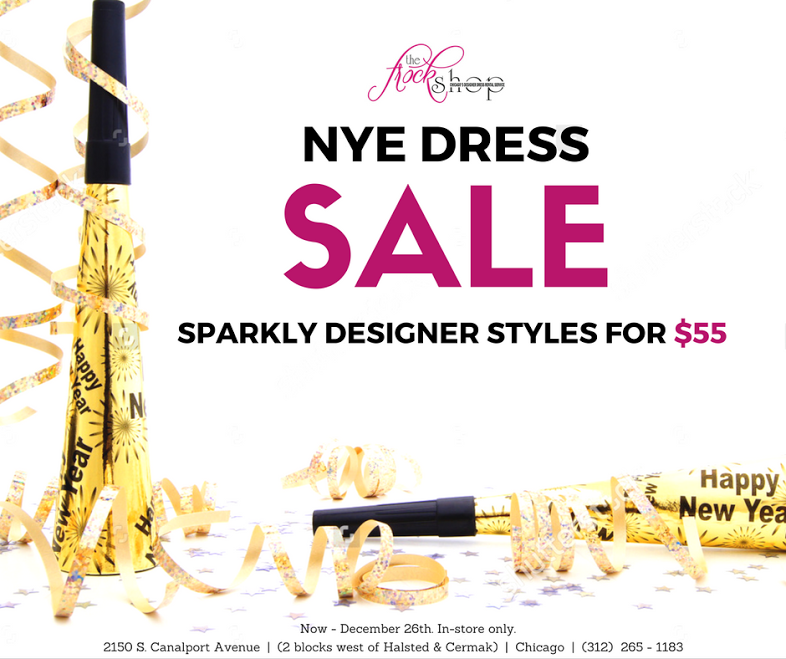 Sparkly party styles on sale for only $55 between now and December 26th. Click here to learn more about The Frock Shop and visit their website. Company in the Country – Black Owned Chicago <Loved it!